Podcast and audiobook listeners today frequently use the “2X” option. The narrator’s speech speeds up, and you can finish the material in half the time of normal speed. Carl Honore, author of In Praise of Slowness, suggests, “Doing two things at once seems so clever, so efficient, so modern. And yet, what it often means is doing two things not very well.” Since writing his book, the world has only gotten faster. “The great benefit of slowing down is reclaiming the time and tranquility to make meaningful connections,” he concludes. 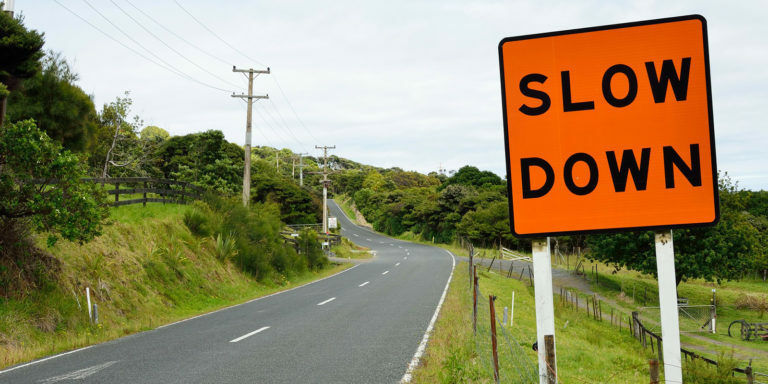 Sales professionals take note: Sometimes, slowing down – not speeding up – is what you need. Let’s look at three reasons better prospecting in sales means slowing down. Sales professionals know they don’t have much time to make an impact when prospecting. In this scenario, it’s easy to fall into the trap of cramming every impressive feature into the pitch. Doing so leads to a rushed delivery. The customer needs time to understand your words. In the first outreach, the customer is not expecting the call or email – and must change their mindset from whatever they’re doing to the business solution you’re offering. That shift requires energy. Consider the customer’s frame of mind and need for simplicity by slowing down. Appeal to their “System 1” processing power. Psychologist and Nobel Prize winner Daniel Kahneman discusses what “System 1” and “System 2” means in his book Thinking Fast and Slow. These are two modes of thinking. System 1 operates automatically and quickly. System 2 devotes more attention to complex tasks. System 1 thinking comes into play when reading large words on a billboard or understanding simple sentences. Customers have the time and energy to engage only their System 1 thinking in the brief span of a prospecting call. Speaking fast and loading the pitch with too many numbers and features will burden the listener. It demands they use their System 2 thinking, which is exhausting. What else requires System 2 thinking, according to Kahneman? Filling out a tax form or comparing the value of two washing machines. These aren’t tasks for a quick call. Slow down and simplify the message. Most customers are courteous. They’re too polite to come out and say, “What’s in it for me?” However, rest assured, this is their main question. The sales professional cannot wait for the second or third interaction to answer this question. Answering “What’s in it for me?” means slowing down and allowing time for the customer to talk. By listening to what the customer has to say, sales professionals will develop a deeper understanding of the business challenge at hand or the business goals. With these details, the sales professional is better equipped to answer the question in a way that resonates with top-of-mind concerns for the customer. Resonance matters more today than ever before. 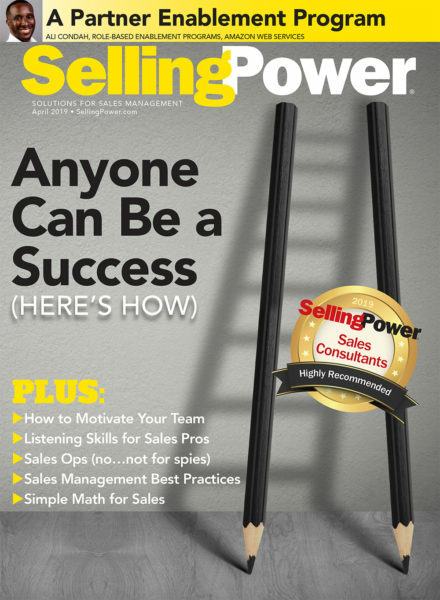 Consider a review of more than 1,600 B2B sales professionals, which shows that “accelerated commoditization and substitution” are circumventing the dialogue between the sales professional and customer. Rising above commoditization means bringing customized value to the customer. With a slower pace, customers feel more at ease with the conversation. They’re more comfortable offering details that matter. Remember: While the solution might boast many outcomes, keep the list focused on those that will matter to the customer. Sales professionals can amplify their presence by articulating their place in the customer’s world. This approach is essential because, when customers get a sales call, they’re looking for a reason to hang up. Too many sales professionals give them this reason by delivering information that is either irrelevant or a mere rehash of what the customer already knows. The solution: Adopt a customer-centric focus. Research illustrates the value of crafting a message from the customer’s perspective. The Internal Journal of Business Communication published empirical findings that support the “concepts of positive emphasis and you-attitude.” The study examined how participants perceived various styles of written communication. The researchers analyzed the readers’ responses via message tone, commitment to comply with the message, and satisfaction. The participants were more receptive when they communicated with a voice that placed the reader’s interests foremost in the writing. The “you-attitude” is characterized by a clear, purposeful message, simplicity without jargon, and communicating insights without expecting the customer to infer their meaning. 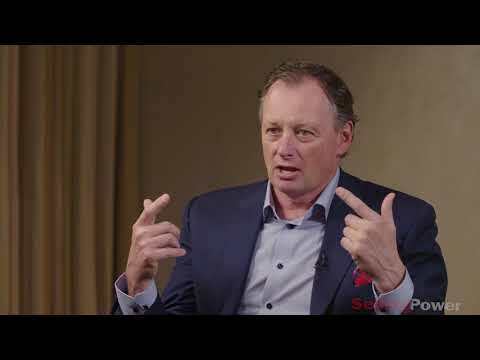 As the pace of business accelerates, it’s no wonder more of us feel “the need for speed.” The problem is that speed misses the details that are crucial to winning the sale. Slow down with a more mindful approach that simplifies the proposition, clarifies the value, and amplifies your presence in the customer’s world. You can see a detailed summary of the white paper here. Ben Taylor is content marketing manager at Richardson. He has an MBA in finance from LaSalle University and over a decade of business and writing experience. He has covered content for brands including Nasdaq, Barclaycard, and Business Insider.